...is the motto of the European Union. As in all other parts of the world, it comes to life when citizens, not just the institutions, live by it. That is crucial today, perhaps more than ever. But democracy needs real spaces and time to develop. A horizontal and inclusive exchange that allows everyone to work together on the issues that concern us all. Here, ideals are confronted and filter bubbles broken. And that is how we came up with the idea for our European Public Sphere Project. Since the end of 2017, we have visited more than 20 public places in Europe with a geodesic wooden construction, the Europe Dome. Its more than 150 struts come together in triangles, pentagons and hexagons. They reflect the cultural diversity and demographic statics of the common European home. All those who want to share their ideas, fears and visions of Europe gather under its roof. Passers-by, everyday citizens, representatives of various organisations - everyone is welcome in our common political space. The results of these equal, open discussions are made available online for further discussion. In November, we will hand them over to the newly elected European Parliament in a catalogue of ideas - from the citizens to their political representatives. We are building bridges! Simultaneously, we are working towards a new European Convention, which the European Parliament can proclaim under Article 48 of the Treaty of Lisbon. For Democracy International, this is the beginning of a new, inclusive European constitution. Close to the citizens at every step, it should culminate in a Europe-wide referendum. Shortly before the European elections, the European Public Sphere is starting its next tour. From the end of March on, it will visit three countries in 11 stops: Belgium, the Netherlands and Luxembourg. In shopping centres, on beaches and in 14th century former monasteries, they all become a European Public Sphere. Follow us on our exciting journey or even better, come by and discuss with us! Just before the European Elections, the moment has arrived: the Europe Dome is going on tour again! And it will be exciting: 11 stops and three new countries. After two long years, we are happy to announce that the new regulation of the ECI has been approved! For the first time ever, the ECI will see concrete structural improvements and become a more user-friendly tool of participatory and direct democracy in Europe. 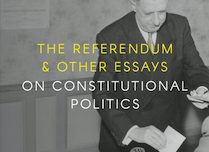 In his new book, About The Referendum and Other Essays on Constitutional Politics, Professor Matt Qvortrup looks at the historical development of referendums and how they are used. We spoke with him on the future of citizen participation in the United Kingdom after Brexit. 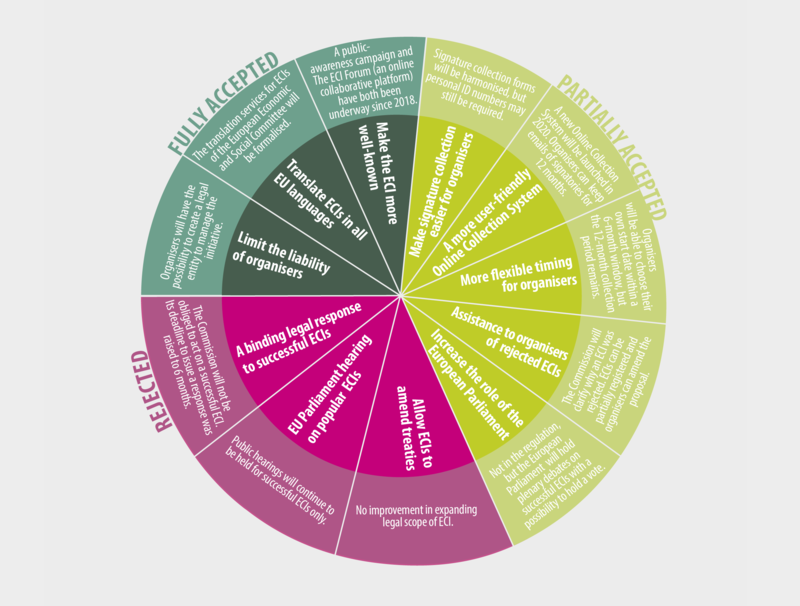 Democracy International organised a study trip for activists and professionals to Dublin, looking to uncover what it was about the Irish process of involving everyday citizens in agenda-setting that made it so successful?